On the upper floor, the 'Museum of Prehistory and Early History' takes visitors on a tour through the oldest eras of human history. With its unique collections on the prehistory and ancient history of Europe and near-lying regions of Asia, the museum manages to trace vividly the major lines of development in early European history, using outstanding original pieces. The tour of level 3 starts in the Roter Saal, which recreates the atmosphere of an exhibition in the late 19th century and sheds light on the origins of important holdings in the prehistoric collection. 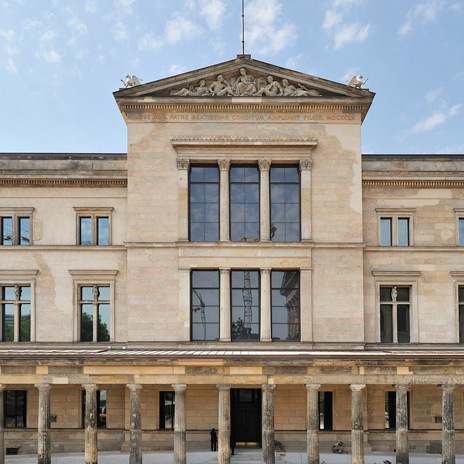 In stark contrast is the modern presentation in the following gallery, dedicated to present-day archaeology in Berlin, which uses recent finds to show what archaeologists, working with modern methods, unearth in the German capital nowadays. This is immediately followed by a room dedicated to the earliest chapters in human history. The Stone Age gallery features the famous 11-year-old Neanderthal from Le Moustier in France and the popular elk found at Berlin's Hansaplatz in Tiergarten. The second half of the gallery shows the transition to agriculture and animal husbandry with brilliant finds from the Neolithic period. 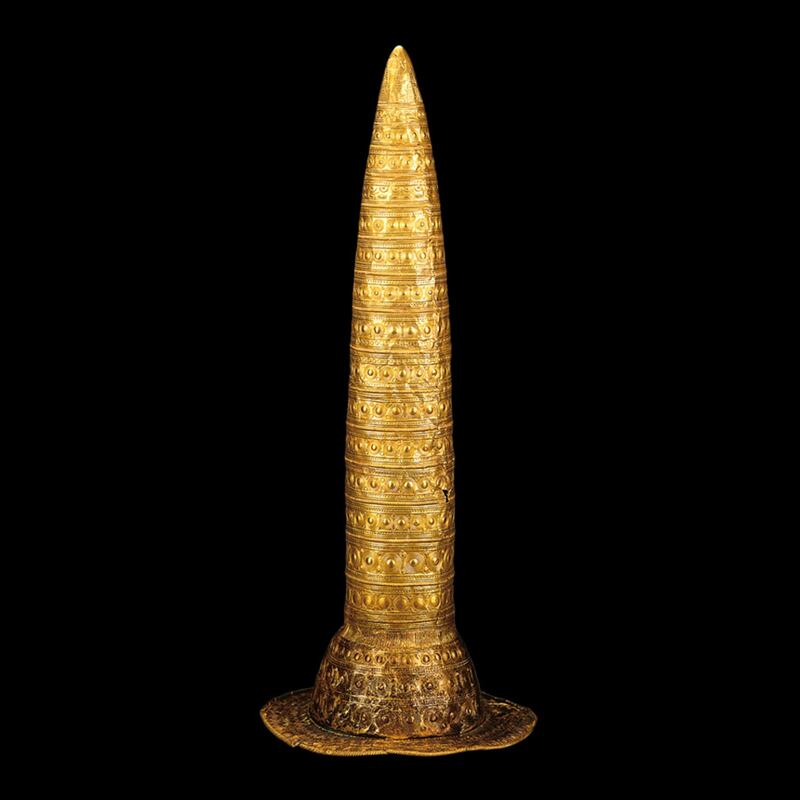 With its large display cases containing impressive montages of exhibits and background scenes, and a three-dimensional view of the oldest battlefield in human history, the Bronze Age room forms a kind of 'processional way' to the world-renowned Berlin Golden Hat. The tour of level 3 ends with displays of Iron Age cultures: Hallstatt-period graves and large-scale finds dating from the La Tène period including some from Mediterranean cultures. Between the Bronze and Iron Age, visitors can expect to embark on a very special journey: our Time Machine takes you to a river landscape, where you can observe its inhabitants over the passing millennia. Humans and their natural environment live in profound symbiosis with one another, and archaeologists are now able not only to date the origin of objects, but also the impact of humankind on the environment and vise versa. The animated film sequences, created especially for the exhibition, feature many exhibits visitors will have just seen in the collection display. The film illustrates the role these objects played in the life of our predecessors, thereby encapsulating the core idea of this exhibition level as an exciting journey back to the very early periods of human history in Europe.